At GDC 2015, Nvidia's big gaming announcement, apparently five years in the making, is the Shield. 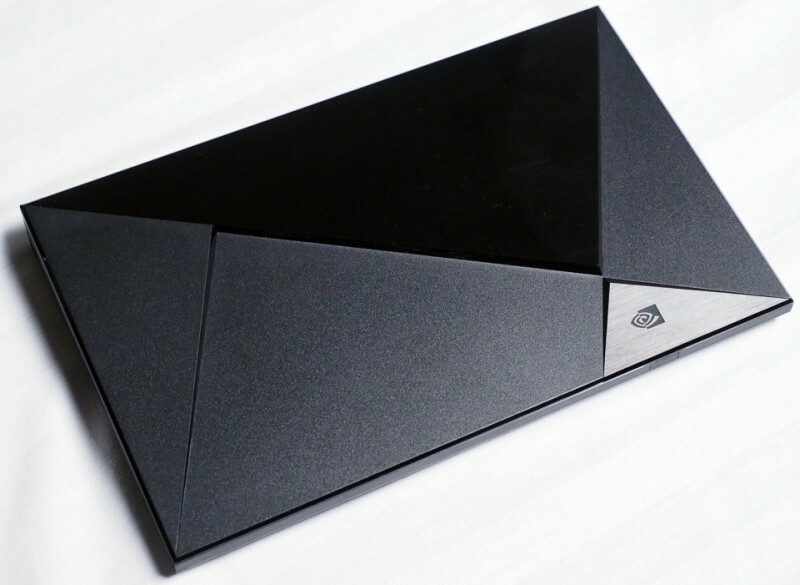 Not the tablet or the handheld that has previously carried the Shield brand, but an Android TV-powered set-top box that's powered by Nvidia's latest Tegra X1 SoC. Thanks to Android TV, the Shield will be able to play everything that's currently in the Google Play Store including apps and media content. Nvidia calls it the first 4K Android TV device, despite Sony launching Android TV-powered 4K TVs at CES earlier this year. The Shield comes with a HDMI 2.0 connection that supports 4K 60 Hz output, and you can play back HEVC/H.265 videos thanks to decoding support on the SoC side. The Tegra X1 SoC is the same eight-core, 64-bit capable SoC launched at CES 2015, complete with a 256 CUDA core Maxwell-based GPU. Compared to the Xbox 360, the Shield is twice as fast with a significantly reduced TDP. Thanks to all this power, the device can run high-powered titles that have been especially ported to Android to run on the Shield, including Borderlands: The Pre-Sequel. Gearbox claims this title can run at 30 FPS on the Shield, though Nvidia's early demo clearly wasn't running at this framerate. However, the Shield can run Doom 3: BFG at 1080p and 60 FPS, as well as Crysis 3 with decent levels of fidelity. Naturally neither of these games will look as good or run as well on the Shield as they do on PC, but for a thin and low-power system it's pretty impressive. As expected, the Shield will also link to Nvidia's Grid cloud game streaming service, which will deliver games at 1080p and 60 FPS over the internet (so long as you have a 50 Mbps connection). For $199, Nvidia will sell you the Shield set-top box and a Shield controller, shipping in May. If you want the remote and stand to accompany it, you'll have to spend a bit more.